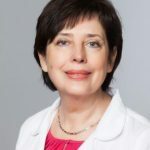 Birute Zilaitiene, MD, PhD, Assoc. prof. Contact the ESC Central Office at info@escrh.eu to contact Birute Zilaitiene. Your email will then be forwarded.